One of the reasons I started hosting parties at my house many years ago was to introduce people to each other and include them in whatever event or activity I was planning. People love to feel like they are known, especially when they walk into an event. 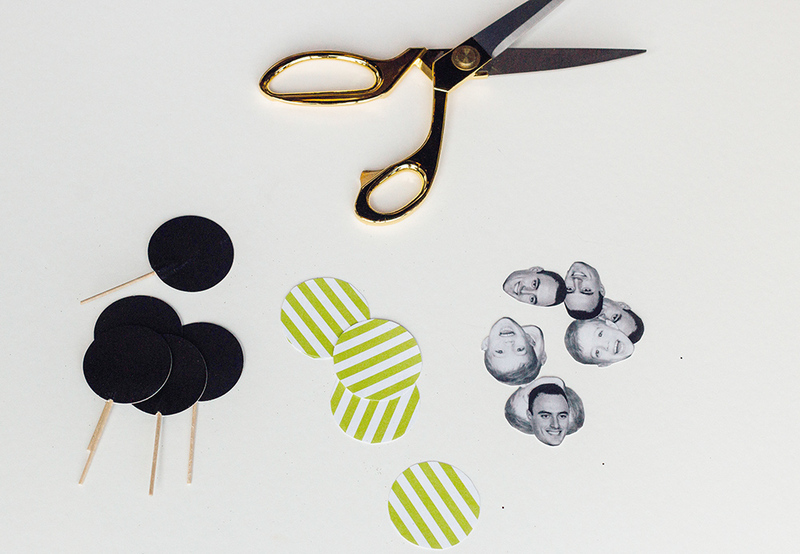 I created these personalized cupcake toppers for Stephen's surprise birthday last week so there would be no doubt that we were all there to celebrate HIM and to make him feel known and loved by his friends! 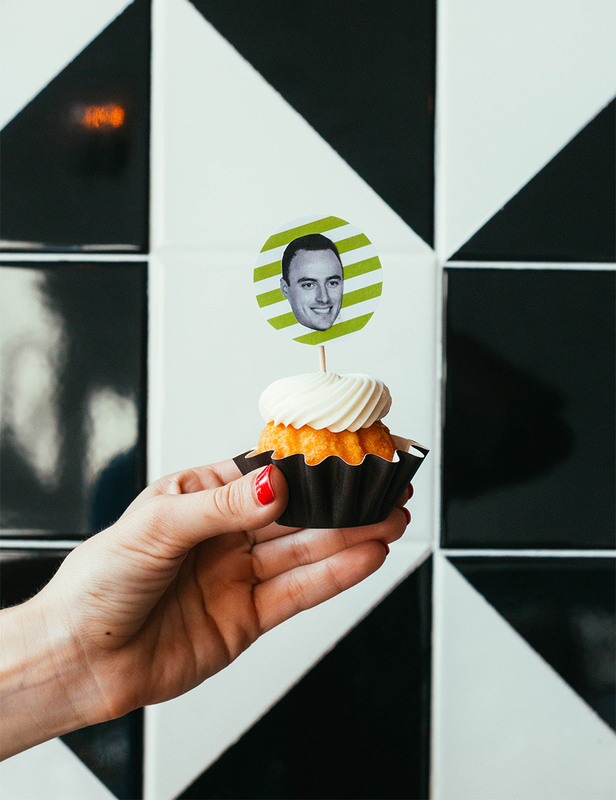 I used a few different photos of Stephen on the surprise party invitation and then repeated those faces on a few other event elements like these cupcake toppers. They were so simple to create and I will definitely be creating custom toppers again soon. These are so simple to make, but I actually had a few questions about how I made them, so I wanted to share the details. I started with a generic round cupcake topper that I purchased from a craft store. I also bought a couple sheets of bright, striped paper and cut circles out of the paper. I printed Stephen's face in black and white on my printer at home then cut them out as well. I used double stick tape to attach the photo to the paper to the cupcake topper and voila! The most difficult part is cutting out the photos (haha)... definitely enlist help from friends if you are making more than 1 or 2 dozen toppers. The finished product was a personalized cupcake topper that everyone loved! 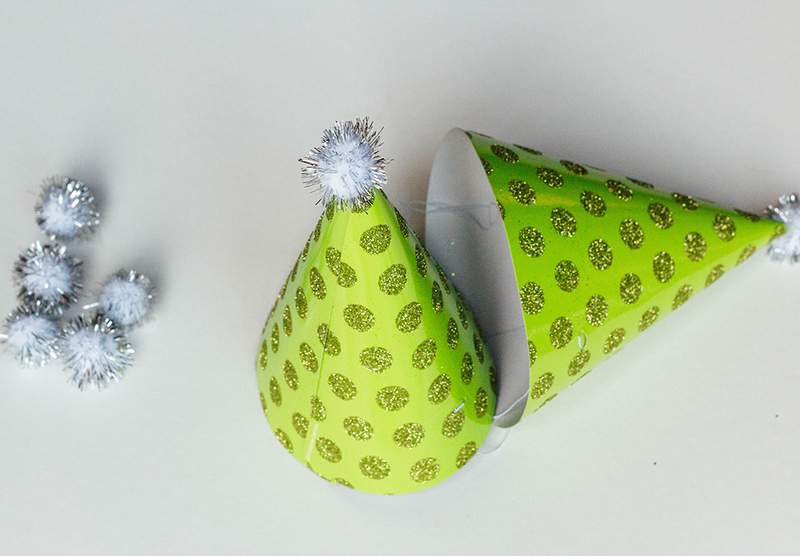 I also added a special touch with a pom-pom to the top of a store bought party hat to add a little pizzazz to the table setting and party props. I always shop at party and craft stores with the idea in mind that I can customize anything if I don't see exactly what I'm looking for, which is exactly what I ended up doing for this surprise party. These "bundtinis" from Nothing Bundt Cakes were definite crowd pleasers!